GPS track is an ordered sequence of points with latitude, longitude, date, time, and maybe some other parameters. They are not precise due to different factors and that is why a track can look ugly and strange. 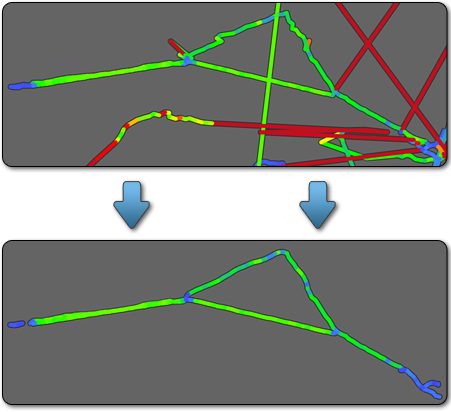 GPS Track Editor offers a way to make tracks look better. GPS Track Editor is a tool for viewing, editing, and cleaning your GPS tracks. This section describes its main concepts and terminology and observes main functions.